Why would you want to go to a counselor or therapist? What is Jungian psychotherapy and how does it work? Who is Rainer Kohler and how can he help me? Links to additional information related to C. G. Jung. I am wandering through a maze. My life is not how I would like it to be. 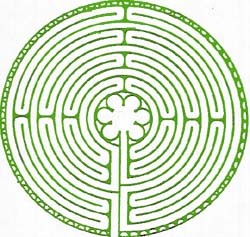 I would like some help with finding my way through the labyrinth of my life. I would like some help with my problems. *Please indicate the nature of your inquiry in the “Subject” line of your email, so that I will be able to distinguish your email from the mountain of spam email to which I am subjected daily. Thank you! 1. Why would you want to go to a counselor or therapist? A good example is the story of the hero Theseus from Greek mythology. Before entering the labyrinth to slay the monster Minotaur, Theseus was given a ball of thread and a magic sword by his supporter Ariadne. He fastened one end of the thread to the entrance of the labyrinth and then unrolled the ball as he went forward through the maze to meet the Minotaur. There Theseus killed the monster with the magic sword, and then retraced his steps by following the thread until he regained safety. For many people Jungian therapy can be the magic sword to confront our issues and the thread to find our way to a meaningful life. Therapy is a journey of discovery, and you and the therapist can go on this journey together. Jungian psychotherapy is particularly helpful for two kinds of people (see below), but for both groups of people, indeed for all of us, it is very difficult to accept outside help. Society and members of our family may tell us that we should be able to solve our difficulties by ourselves. Yet, we readily accept help for our physical problems from a medical doctor. Why should we not accept help for our emotional difficulties from a psychotherapist? * Please indicate the nature of your inquiry in the “Subject” line of your email, so that I will be able to distinguish your email from the mountain of spam email to which I am subjected daily. Thank you! How do I deal with my stresses and find peace? Where am I going? How do I know I am on the right path? Am I in tune with the goals for my life? Obviously, no list can be complete. Basically, any feeling of unease or distress can be brought to a Jungian therapist. 2. What is Jungian psychotherapy and how does it work? Jungian analysis is a form of psychotherapy developed by the Swiss psychiatrist Carl Gustav Jung (1875-1961). Such words as archetypal, complex, introverted, extraverted, individuation and persona have all entered our everyday language from Jung’s psychology. As a young psychiatrist Jung had an insight into the human psyche which kept him engaged during his entire life. He discovered that in each of us there is a center which directs our personal growth. This center, which he called the Self, sends us symbolic messages which, when understood and acted upon, help us to become a whole and healthy person. These symbolic messages come to us in many ways, including through dreams, visions, images and associations. Why are dreams so helpful? Dreams, and other symbolic messages, are sent to us in order to provide us with insights which, if we act on them, make us more complete and lead us to a better and healthier life. Is the nightmare also a helpful dream? Yes. Perhaps surprisingly, the nightmare is produced in order to get our attention. It is, so to speak, a “shot before the bow”, and we are well advised to pay attention to the contents of our nightmares. Does everyone dream? The scientific fact is that everyone dreams, but not everyone remembers their dreams right away. Dreams occur mostly during REM (Rapid Eyeball Movement) sleep every night. In my experience everyone can learn to remember their dreams. I believe that Jungian depth psychology, with its reverence for the psyche in each individual, provides the resources to meet the challenges of modern life and of the unknown. I believe that Jungian depth psychology can support us in our encounter with the unthinkable. I believe that Jungian depth psychology recognizes an approach to the psyche and psychic life, which has deeper implications for our well being than narrow ideas of standardized treatments. If you would you like to explore who you are and who you are meant to become, Jungian psychotherapy is for you. 3. Who is Rainer Kohler? I am a graduate of the C. G. Jung Institute in Boston and have been practicing Jungian psychotherapy in Needham, Massachusetts since 1991. I have been involved with Jungian psychotherapy for over 30 years and have undergone a long personal analysis of my own. This is important because a therapist is above all a guide for his client, and any guide has first to cross the field where he would dare lead others. I have substantial life experience. For many years, before becoming a psychotherapist, I practiced and taught law. I have presented workshops and seminars on dreams, symbols, fairy tales, spirituality, mythology, creativity, birth and death, good and evil, and the mid-life passage. I have written extensively on the comparison of religious and therapeutic confessions, on the modern symbolism of initiation rituals, and on religious symbolism. In addition to my diploma from the C. G. Jung Institute in Boston, I have degrees from Fichte Gymnasium and Johann Wolfgang von Goethe Universität in Germany and from Georgetown University and Boston College Law School in the United States. I am a member of the International Association of Analytical Psychology (IAAP) and of the National Association for the Advancement of Psychoanalysis (NAAP). With the adoption of a licensing law for psychoanalysts in the State of New York effective January 1, 2006 I am now licensed as a psychoanalyst in the State of New York (License Nr. 000204). In October 2017 I was interviewed by the online magazine Boston Voyager. You can read the interview here. I have published a number of articles, first as a lawyer and law professor on legal subjects, and then as a psychotherapist on psychological themes. My most recent article explores a subject which touches every human being because we are all migrants, some of us geographically moving between different cultures, but all of us “migrating” through the stages of our lives, from childhood and adolescence to adulthood and wise maturity. In my article Two Homelands? Krefeld and Boston? Germany and America? (Zwei Heimaten? Krefeld und Boston? Deutschland und Amerika?) 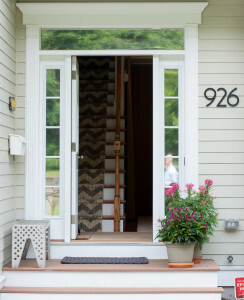 I describe our longing and search for “home,” both geographically and emotionally. The article was published in German in 2011 in the yearbook of my home town Krefeld, Germany: die Heimat Krefelder Jahrbuch, Zeitschrift für niederrheinische Kultur- und Heimatpflege (Jahrgang 82, November 2011). You can read the German article here. An English translation can be read here. I am fluent in English and German. I was seeking a therapist, possibly a Jungian Therapist, to work with me for an extended period of time, in conjunction with seeing a psychiatrist, as that dr. required me to see a weekly therapist. My experience was incredibly helpful in many regards. I had started our sessions in a period of enormous crisis, on meds, but needing a weekly therapy session on my psychiatrist’s recommendation. Dr. Kohler and I worked together for one year, and in that time, I was able to not only dissipate the crisis from my life, but achieved what no other therapy in my life had achieved. I was in fact able to make genuine strides in comprehending the core issues that had caused repeated traumas during my life. I was in my early 40s and had experienced therapy at several times in my life; late teens, twenties and in my thirties, and at no other time had I been able to find help which focused my attention beyond crisis management. Our work, which involved both discussion and a great deal of my own written self expose, got to the signature and repeated issues that seemed to define my life, my behavior and thus the outcomes of my personal behavior. The work that Dr. Kohler and I did was genuinely transformative. I have since been able to control my life on far better terms. I have not had a repeat crisis and believe that the work that he and I did it was as close as one can get to righting the course of a life as I have ever experienced. Needless to say, I was able to and any use of medication before our session were over, I have also been able to progress in my life in a successful marriage, self employment and more. Rainer is a fully developed and qualified Jungian Analyst. Like many therapists in training, I was seeking therapy for myself, to strengthen myself and to heal. In my own clinical training, I had concluded that Gestalt Therapy is a fine vintage wine, and Jungian Analysis is the vineyard. Rainer knows the vineyard. You will not get all the details. Of course not. But know this: without Rainer’s help, I would not have finished my program at Lesley University. Know this, as well: all therapy touches on trauma. Rainer’s presence with me, the “vessel” he maintains (teaches, cultivates) is the real McCoy. Finally, regular therapy is Shining Time Station. I deeply love Thomas and his friends. Working with Rainer is the Polar Express. Those of you with a heart for Jung will understand. My work with Rainer was not complete. My analysis, happily, is far from finished. But my beginning, with Rainer, is a finely finished masterpiece. I am proud to say so, and proud to recommend him to you, whoever you are. You and he will know, in a session or two or three, whether or not your voyage runs through his consulting room. 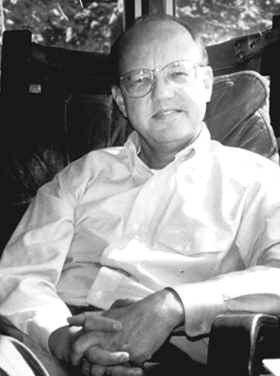 I saw Dr. Rainer M. Kohler for psychotherapy when I lived in Massachusetts seven years ago. Dr. Kohler is a Jungian therapist who establishes an authentic relationship with you, not just practicing according to some textbook, but actually engaging with his clients in their journey to greater self-knowledge and healthier relating with others. He was my favorite therapist and I often wish he was still my therapist. Even though I was willing to drive from Worcester to work with him, I can’t really commute from the Washington DC area where I live now. The most striking thing about working with him was the frequency with which he would guide me to my blind spots. I recommend him wholeheartedly. Advice and support for personal growth. Some years ago, when I was looking for advice and support for personal growth, I wanted to find a therapist with qualities such as wisdom, empathy and perceptiveness. Dr. Rainer Kohler possesses all of these qualities, together with a wide breadth of experience and exceptional communication skills. Given these qualities, together with his patient willingness to listen, to hear and to see issues to the point of clarification and understanding, I believe Rainer has the ability to help those who are willing to do the work of personal understanding and change. I highly recommend him. As a therapist I place a high value on the confidentiality and privacy of the information you share with me. State law and professional ethics also require me to maintain confidentiality and not to disclose information about you without your written consent. Finally, the confidentiality of your information is protected by the Health Insurance Portability and Accountability Act. Click here for my Notice of Privacy Practices in compliance with the Health Insurance Portability and Accountability Act and the regulations thereunder. 4. Helpful links and resources related to C. G. Jung. The IAAP is the international organization of professionals engaged in the practice of Analytical Psychology, also called Jungian Psychology. This site contains information about Jungian psychology and its practice in the world today. The Jung Page was founded in 1995 and contains a lot of information about Jungian activities and discussions in the United States and the world today. The NAAP is an American and international organization formed for the purpose of advancing all forms of psychoanalysis including Jungian, Freudian, Adlerian, etc. 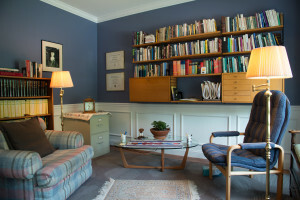 This site contains information about all branches of psychoanalysis practiced in the United States today. In addition to Jung’s autobiography Memories, Dreams, Reflections there are a number of biographies. The most recent (2003) and very detailed biography is by Deirdre Bair, entitled Jung, A Biography. Since we are an integrated being of psyche and body, we also need to take care of our body. I have benefited from and can highly recommend massage therapy by www.bintouchmassage.com.